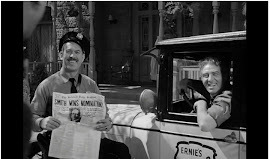 The Bedford Falls Sentinel - An It's a Wonderful Life Blog: The sequel to It's a Wonderful LIfe, how do you follow up perfection? An It's a Wonderful Life Blog. Call it a fan page, call it a shrine, call it a tribute. It's everything concerned with the film, the town of Bedford Falls, the villages, and the wonderful world Frank Capra gave us. Containing trivial ramblings of a soul caught in the present yet stemming from bygone eras. Can someone point the way to Bedford Falls? The sequel to It's a Wonderful LIfe, how do you follow up perfection? It's not hard to imagine that many sequel attempts have been made on the experience felt in this film, but it is hard to imagine how anyone , any studio, or any cast could come close to exuding or portraying the feelings Capra's 1946 film shines with. Capra toyed with the idea of a sequel late in life, but either he or some close to him quickly nixed the idea after just some rough thoughts were put to paper. As I've read the story was more or less a 1960's version of the same tale only with ZuZu Bailey being the leading force at the Building and Loan, and some new danger to the town is discovered and vanquished. Capra Jr. has said that his dad wanted to try and have Stewart and Reed come back for their roles. Happily, this idea never put to film as just the time period as well as even the basic story would have been nothing but an anchor on the late blooming success of the original film. What I wasn't aware of, is that in the 70's ABC did indeed do a sequel to the movie, although not a true sequel but a retelling of the original tale. Called 'It Happened One Night', the made for TV movie switched the genders of the lead role and had a Mary Bailey married to a George Hatch save the town. It uses some of the dialog from IaWL almost down to the exact wording and the story is identical really with tiny subtle changes. 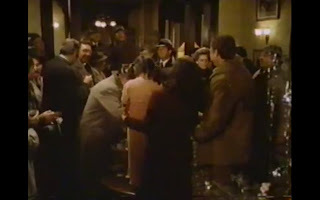 For instance Clarence has been switched to Clara, and Martini's Bar is now Martins. 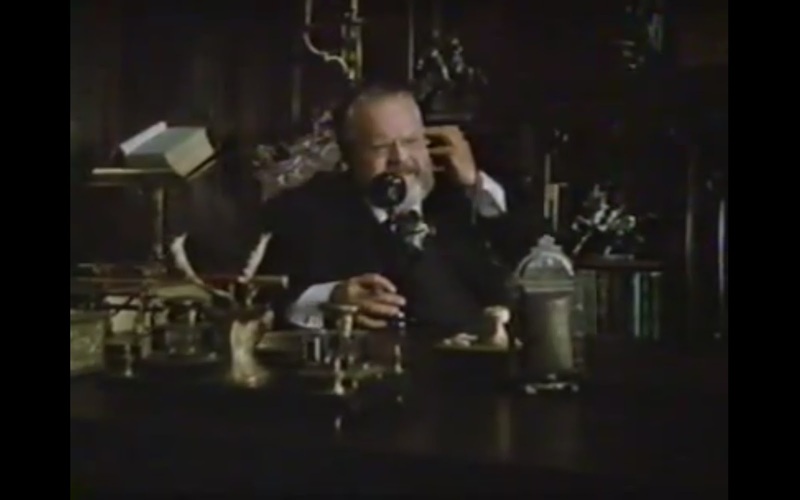 It starred Marlo Thomas as Mary, Wayne Rodgers (from M.A.S.H) as George, and the great Orson Wells as Mr. Potter. The ratings were apparently really good, and it even won an Emmy. You can watch a lot of it on Youtube seen here, as the DVD is of yet unreleased. You can read more about it here. I was terrified to even watch it after hearing about its existence as it seemed almost a sacrilege to put my eyes on a tv version remake that was made without the blessing of Frank Capra. Also let alone that it was from the 70's; a decade that I hate and literally like almost nothing that was on any screen big or small. But, it's actually not the dreadful shipwreck that it very well could have been and it comes off as just a small budget TV movie rather that a horrid remake.(retelling). Obviously this goes without even trying to compare it to the real film, as it doesn't even come even remotely close to even deserve a place beside the original film. Treating this as just a kind of homage to the older film does offer some satisfaction in listening for those little connections to the Capra version and testing your IaWL film knowledge by catching the minute dialog changes. What it really fails at is the ending scene with the family and Harry's (yes the Bailey brother is still named Harry) toast. Now I've seen a lot of plays, drama's , and attempts to replicate this scene and none have been able to deliver what Capra did. It's my favorite moment in film, in my favorite ending of all films. Everything is perfect and no matter how many times, that scene gives you a unique feeling. The 70's retelling fails miserably on this part and was painful to even watch once. Even some of the smaller local IaWL dramas have done far better. I wouldn't recommend any fan watching, but I also wouldn't discourage them either. Another somewhat sequel is a 1991 TV "movie" that involved another mission for Clarence in the 90's. No other attempts that I know have, have been made for television and definitely none have reached the big screen. Several though, have found there way to print and range in a variety of story options for any fan wanting to continue the story and return to Bedford Falls after CHRISTmas 1946 although sometimes those options can be quite dark. 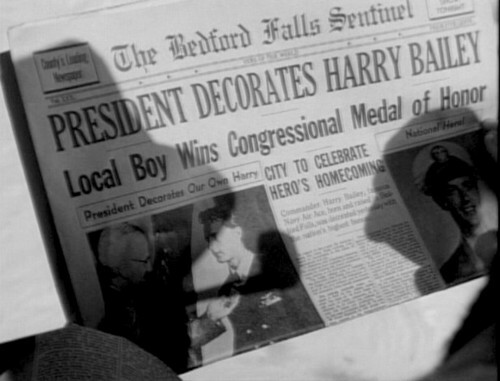 Continuing to revisit Bedford Falls is something that fans still talk (blog) about. Some of those talks have even spurred a list of 5 sequel openings err ... ideas. Sometimes the ideas for a sequel have stemmed from rumors about Capra's own ideas for alternate endings and story arcs of the original. 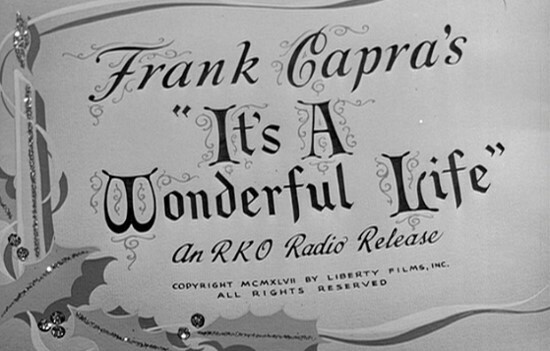 Some people feel that Capra did indeed film some scenes that he later pulled for use on a possible It's a Wonderful Life alternate ending or continuation of the film's story if it was successful. As we all know it wasn't at the time and took almost 40 years before it would regain a status that warranted a second film. 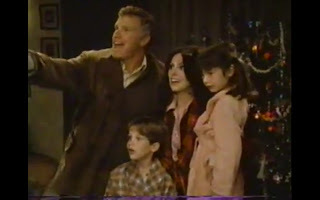 Alas, that was too late for all but a short SNL sketch which did show us what a 'sequel' might start with. Like the ending, I just don't think I'll ever see a re-make of this film, although the late anti-bank feelings spread across the nation have made such story arc much more popular than perhaps any time since the depression. This film is the very definition of the quintessential perfect film. So many factors seem impossible to recreate or even to attempt emulation. Who possibly out of Hollywood could direct? What modern actor or actress could come close to making us believe they could portray the Baileys. In the future, I might try to set up a long time poll on what or who fans might accept if forced to choose a sequel cast. 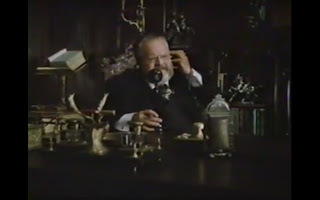 List of links for some of the more famous audio clips from the film. Homemade IaWL page with good info!